If confirmed, Grenell would be the Trump administration's first openly gay appointee. 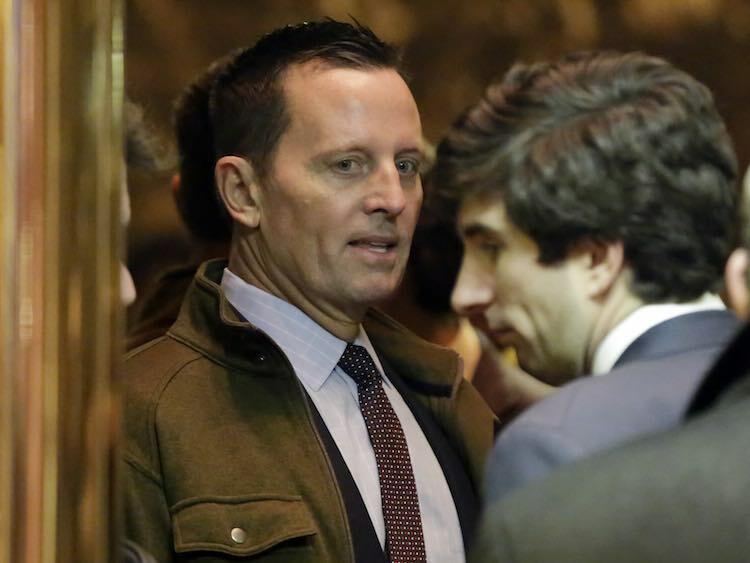 Donald Trump announced Friday that he intends to nominate Richard Grenell as ambassador to Germany, and if confirmed by the Senate, Grenell would be the Trump administration’s first openly gay appointee. Grenell, a longtime Republican activist, was the longest-serving U.S. spokesman at the United Nations, serving from 2001 to 2008, under four U.N. ambassadors in the George W. Bush administration, ABC News notes. He is founder of Capitol Media Partners, an international communications firm, and frequently comments on foreign affairs on the Fox News Channel. An outspoken Trump supporter, he is known for his acerbic social media posts. He was considered a possibility for NATO ambassador, according to Politico, until Trump decided to nominate former U.S. Sen. Kay Bailey Hutchison, said to be Secretary of State Rex Tillerson’s choice. Grenell had a two-week stint as national security spokesman for Republican Mitt Romney’s presidential campaign in 2012. Some social conservatives objected to a gay man being in this position, and there were rumors that Grenell was forced out, something he denied. He said instead that he resigned because talk of his sexual orientation had overshadowed his foreign policy work, and “when the messenger becomes part of the message — if you really care about these issues — you should step aside.” In addition to criticism from the right for being gay, he said, some on the left objected to him working with a Republican. In 2013, Grenell was diagnosed with non-Hodgkin’s lymphoma, a form of cancer, and underwent chemotherapy, ABC News reports. After a few months, he announced that he was in remission. His experience with cancer led him to help develop an app called chemoWave, which monitors patients’ reactions to chemotherapy.